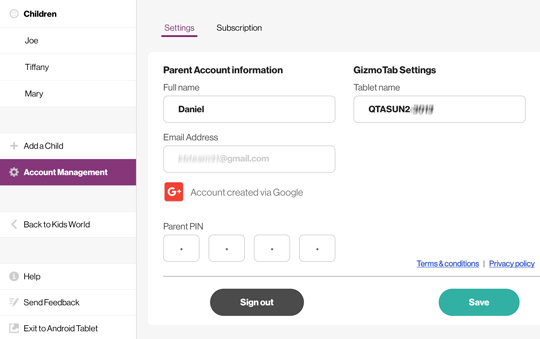 Created during initial setup of the GizmoTab, the Parent PIN allows you access to the Parent Dashboard where you can view and set limits on tablet usage. 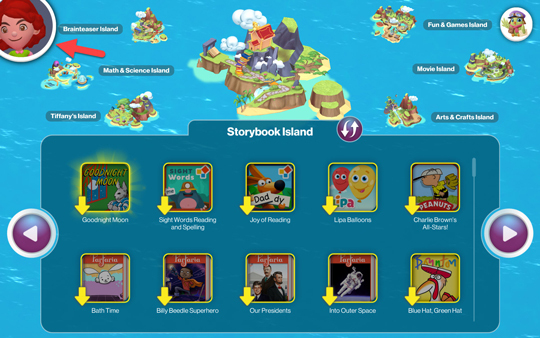 From the Home screen, tap the Kid avatar (located in the upper-left). 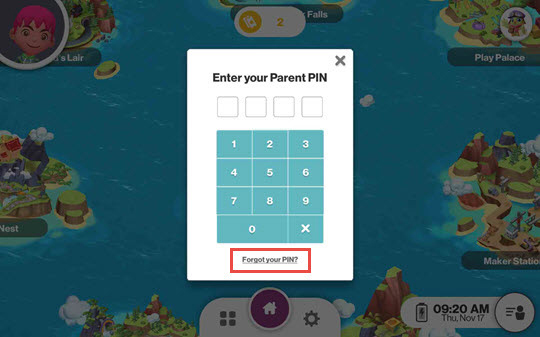 Tap the Parent icon and enter your Parent PIN. 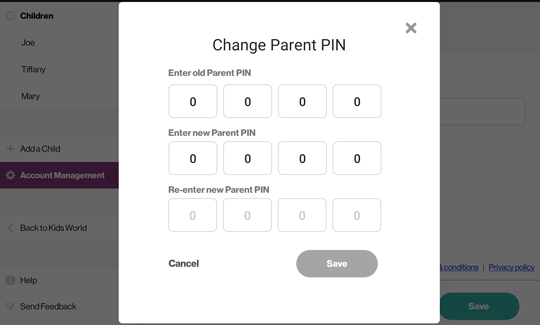 From the left menu, tap Account Management then tap the Parent PIN box to edit. From the 'Change Unlock Key' screen, enter the old code and the new code twice then tap Save. 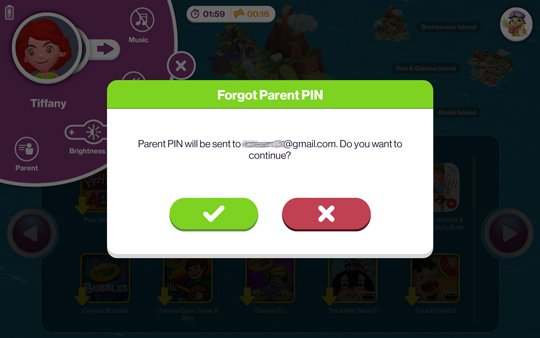 Tap the Parent icon and then tap Forgot your PIN? Verify your Gmail address then tap the green checkmark to retrieve your PIN. Tap the green checkmark to close. From your Gmail account, view email to retrieve password.